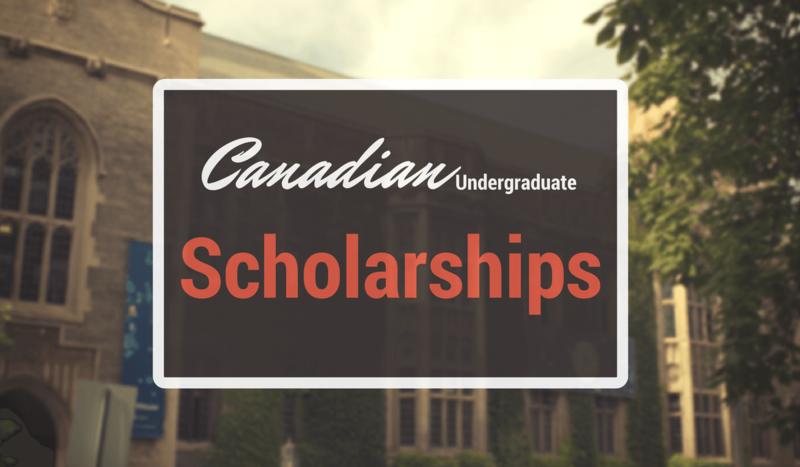 Here is a list of Canadian undergraduate scholarships. Visit the to learn more about their requirements and how to apply. Work Study Program helps students to get on-campus paid employment while they are registered as full-time students. Academic Awards and Scholarships are available for full-time students with outstanding academic achievement. Assistance Programs provides bursaries, entrance awards, and work or study to students in need of financial aid. Visit the website to learn more about their requirements and how to apply. George Brown College Emergency Bursary that assists you with financial difficulty due to an emergency situation. Work Study Program that helps you to pay your tuition. Visit Queen’s University website to learn more about their requirements and how to apply. McMaster University scholarships or awards don’t require a separate application. Scholarship values are based on a student’s final admission average to program. These scholarships are only applicable to Canadian citizens/permanent residents. Visit the McMaster University website to learn more about their requirements and how to apply. Don’t forget to check out the University of Waterloo website often to see if there will be scholarship opportunities for the following year. The scholarship available are general entrance scholarships, guaranteed and renewable scholarships, entrance scholarships across all program and privately sponsored entrance scholarships. Visit the website to learn more about the scholarship opportunities. Check out their undergraduate scholarships and awards calendar to learn more about their internal undergraduate scholarships. Scholarships and bursaries are available at my.senecacollege.ca. Visit the website to learn more about the scholarship opportunities. Carleton University offers entrance scholarships and scholarships for current/returning students. The scholarships are awarded to students who have demonstrated a high potential for university studies. These are a few undergraduate scholarship opportunities. If you know the college/university you are going to, ask the admission advisor about the scholarship information or read the information about the scholarships on their website.